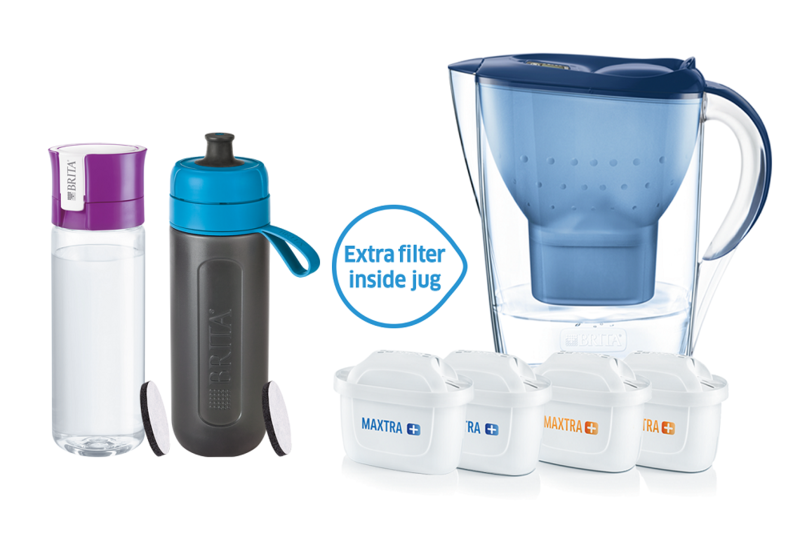 Read on for your chance to WIN a Brita prize pack worth $133 for your family. Before you head to the supermarket and buy a carton of bottled water, STOP and read this, it could save you thousands! We get it, you’re busy and the conveniently bottled water is right there tempting you. It’s ready to go. But just slow down for a second and give thought to why you should consider filtered water as an alternative. Bottled water – is convenience worth it? Bottled water is definitely a convenient option but did you know that a single use plastic bottle that makes its way into the ocean can take 450 years to break down? That’s an incredibly long time when a reusable water bottle carries your water exactly the same way. Unfortunately due to the throw-away society we have become, by 2050 there will be more plastic in the ocean than fish. This is preventable and we need to make changes to ensure our children are able to enjoy a healthy future! When you consider the above factors, you can understand why the ‘War on Waste’ is fast becoming a normal part of the Australian lifestyle. By our refilling water bottles instead of using bottled water we can help to create a sustainable future for our children. Did you know: 1x Brita Lime Scale filter replaces 250 bottles of 600ml bottled water? This is a much better option for both the environment and your budget! Brita has launched a new Limescale Expert Filter which is made from activated carbon from natural coconut shells. Each Brita filter can produce 150 litres of fresh tasting water, which in turn means that families can reduce the amount of bottled water they consume. Chlorine and other tastes that make us less inclined to drink water! We have been road testing the Brita jug and the Lime Scale Expert filter for a few weeks now and while I haven’t had my water professionally tested, I am in a very old suburb so I am sure these water pipes have seen better days. You can taste the chlorine in our tap water and I am pleased to report that taste was completely removed by using the Brita filter. I have found the Brita jug so easy to fill and pour that even my kids can do it. Their water intake has increased as they now go and fill up their cups and water bottles regularly. TIP: In an effort to avoid sugary drinks, we like to add freshly squeezed lemons to our drinking water. It encourages kids to stay hydrated while still introducing new flavours. When refilled, the water quickly filters and a full jug can be filtered within minutes. There is no need to wait around for it to work its magic. Cost is a big factor when making ongoing purchases for my family. Which is why I am thrilled to say Brita filtered water costs an average of 9 cents a litre. We drink a lot of water and I love that we have found an affordable way to encourage my kids to increase their water consumption. Healthy kids are well hydrated kids and anything that encourages my kids to drink more is a winner in my eyes. 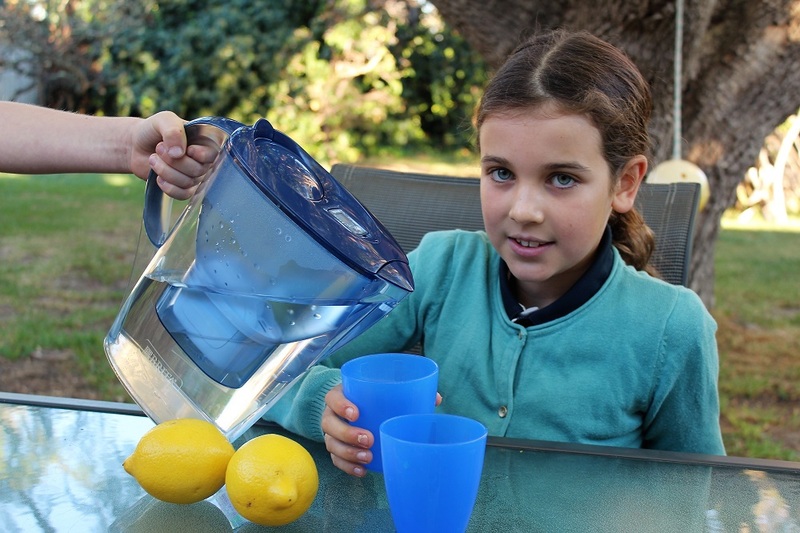 If your family could benefit from filtered water, check out Brita or enter the giveaway below.